June 18 – 23, 2017 I.A.M. C.R.E.S.T. DOT Railroad Hazardous Material Enhancement Awareness Train the Trainer Program. Amarillo Texas was the site for training 18 new I.A.M. C.R.E.S.T Associate Instructors from IAM/TCU/ District 19. 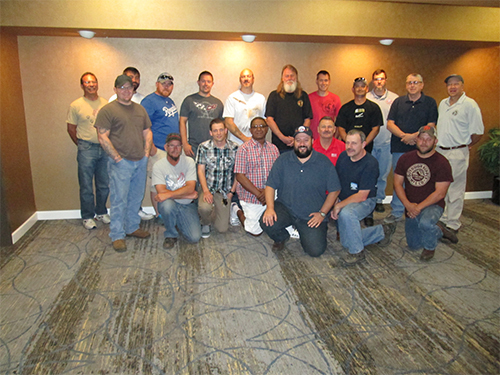 Railroaders from IAM/TCU Local Lodges across North America completed a DOT PHMSA Railroad Train the Trainer program. The class curriculum is specifically designed to provide railroad participants the skills necessary to educate other railroad workers about the dangers of working around hazardous materials shipped by rail. The class participants are now IAM CREST Associate Instructors. Participating members demonstrated an outstanding professional ability to deliver quality educational training for the membership. Railroad awareness training modules are designed to enhance the current safety training provided by employers in the rail industry. Railroad workers who may find themselves in a First Responder situation receive the awareness training under a grant funded by the DOT Pipeline and Hazardous Material Safety Administration (PHMSA). This training is another example of how the IAM demonstrates a pro-active approach to delivering quality safety training for the membership. The individual training modules may be delivered to any first responder employees. The program stresses the importance of identifying hazardous materials and the hazards associated with them including; First Responder Awareness, Hazard Recognition, Hazardous Material Regulations, Agencies, Security, Toxicology, Chemical and Physical Properties, Resources, and HMR Regulatory Review. A comprehensive Shop Safety Brief Guide is also presented and available free of charge to attendees and IAM/TCU members. May 1 – 5, 2017 I.A.M. C.R.E.S.T. DOT Railroad Hazardous Material Enhancement Awareness Train the Trainer Program. Charleston S.C. was the site for training 10 new I.A.M. C.R.E.S.T Associate Instructors from IAM/TCU & District 19. 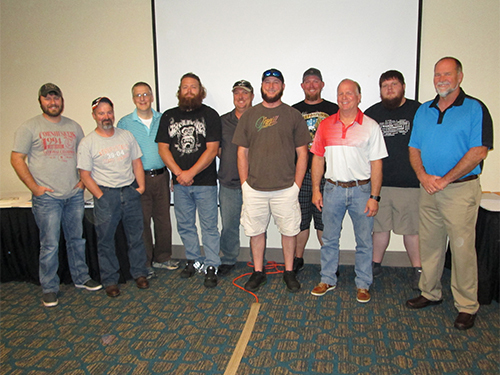 Railroaders from IAM/TCU Local Lodges across North America completed a DOT PHMSA Railroad Train the Trainer program. The class curriculum is specifically designed to provide railroad participants the skills necessary to educate other railroad workers about the dangers of working around hazardous materials shipped by rail. The class participants are now IAM CREST Associate Instructors. Participating members demonstrated an outstanding professional ability to deliver quality educational training for the membership. The individual training modules may be delivered to any first responder employees. The program stresses the importance of identifying hazardous materials and the hazards associated with them including; First Responder Awareness, Hazard Recognition, Hazardous Material Regulations, Agencies, Security, Toxicology, Chemical and Physical Properties, Resources, and HMR Regulatory Review. A comprehensive Shop Safety Brief Guide is also presented and available free of charge to attendees and IAM/TCU members . February 27 – March 3, 2017 I.A.M. C.R.E.S.T. DOT Railroad Hazardous Material Enhancement Awareness Train the Trainer Program. Little Rock Arkansas was the site for training 10 new I.A.M. C.R.E.S.T Associate Instructors from IAM District 19. 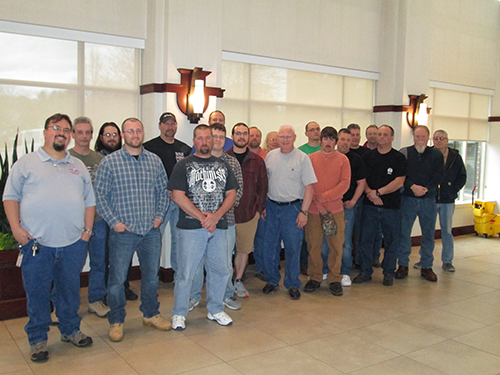 Railroaders from IAM Local Lodges across North America completed a DOT PHMSA Railroad Train the Trainer program. The class curriculum is specifically designed to provide railroad participants the skills necessary to educate other railroad workers about the dangers of working around hazardous materials shipped by rail. The class participants are now IAM CREST Associate Instructors. Participating members demonstrated an outstanding professional ability to deliver quality educational training for the membership. Minneapolis – ST. Paul was the site for training 17 new I.A.M. C.R.E.S.T Associate Instructors from IAM District 19. 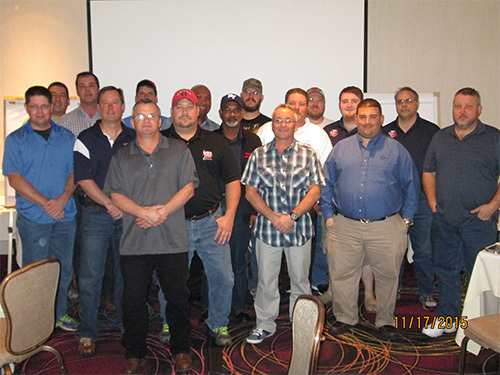 Railroaders from IAM Local Lodges across North America completed a DOT PHMSA Railroad Train the Trainer program. The class curriculum is specifically designed to provide railroad participants the skills necessary to educate other railroad workers about the dangers of working around hazardous materials shipped by rail. The class participants are now IAM CREST Associate Instructors. Participating members demonstrated an outstanding professional ability to deliver quality educational training for the membership. This week in Portland Maine, 18 new I.A.M. 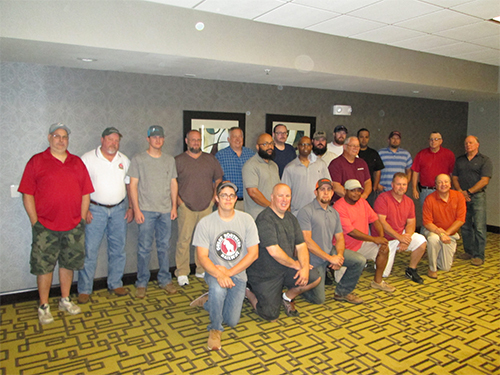 C.R.E.S.T Associate Instructors from IAM District 19 and IAM Local Lodges across North America completed a DOT PHMSA Railroad Train the Trainer program. The class curriculum is specifically designed to provide railroad participants the skills necessary to educate other railroad workers about the dangers of working around hazardous materials shipped by rail. The class participants are now IAM CREST Associate Instructors. Participating members demonstrated an outstanding professional ability to deliver quality educational training for the membership. Railroad awareness training modules are designed to enhance the current training provided by employers in the rail industry. Railroad workers who may find themselves in a First Responder situation received the awareness training under a grant funded by the DOT Pipeline and Hazardous Material Safety Administration (PHMSA). This training is another example of how the IAM demonstrates a pro-active approach to delivering quality safety training for the membership. This week in Houston Texas (Hobby), 18 new I.A.M. 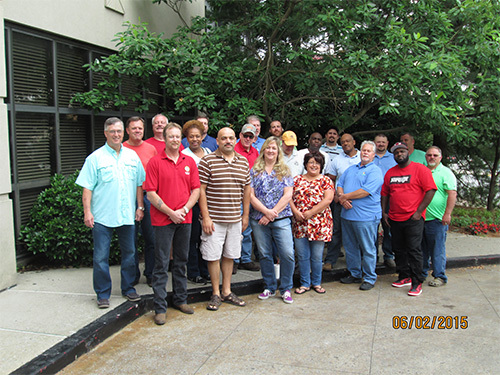 C.R.E.S.T Associate Instructors from IAM District 19 and IAM Local Lodges across North America completed a DOT PHMSA Railroad Train the Trainer program. The class curriculum is specifically designed to provide railroad participants the skills necessary to educate other railroad workers about the dangers of working around hazardous materials shipped by rail. The class participants are now IAM CREST Associate Instructors and demonstrated an outstanding professional ability to deliver quality educational training for the membership. A comprehensive Shop Safety Brief Guide is also presented and available free of charge to attendees and IAM/TCU members. This week in Las Vegas, Nevada, 17 new I.A.M. C.R.E.S.T Associate Instructors from IAM Railroad Local Lodges across North America completed a Railroad Train the Trainer program. The class curriculum is specifically designed to provide participants with the skills necessary to train other railroad workers about the dangers of working around hazardous materials shipped by rail. The class participants are now IAM CREST Associate Instructors and demonstrated an outstanding professional ability to deliver quality training. Awareness training modules are designed to enhance the current training provided by employers in the rail industry. Railroad workers who may find themselves in a First Responder situation received the awareness training under a grant funded by the DOT Pipeline and Hazardous Material Safety Administration (PHMSA). This training is another example of how the IAM demonstrates a pro-active approach to delivering quality safety training for the membership. The individual training modules may be delivered to any first responder employees. The program stresses the importance of identifying hazardous materials and the hazards associated with them including; First Responder Awareness, Hazard Recognition, Hazardous Material Regulations, Agencies, Security, Toxicology, Chemical and Physical Properties, and available Resources. During the week of June 1-5, 2015, 18 new I.A.M. C.R.E.S.T Associate Instructors from TCU/IAM Local Lodges across the country completed a Railroad Train the Trainer program in Nashville Tennessee. The class curriculum used is specifically designed to provide participants with the skills necessary to train other workers about the dangers of working around hazardous materials shipped by rail. The class participants are now IAM CREST Associate Instructors. They demonstrated an outstanding professional ability to develop and deliver quality training. The awareness training modules are designed to enhance the current training provided by employers in the rail industry. 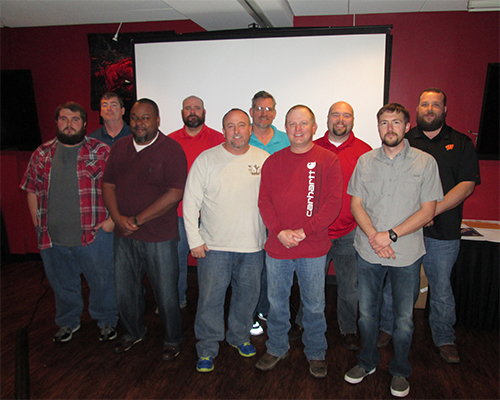 Railroad workers who may find themselves in a First Responder situation received the awareness training under a grant funded by the DOT Pipeline and Hazardous Material Safety Administration (PHMSA). This training is an example of how the TCU/IAM organization demonstrates a pro-active approach to delivering quality safety training for the membership. During the week of March 23-27, 2015, new I.A.M. 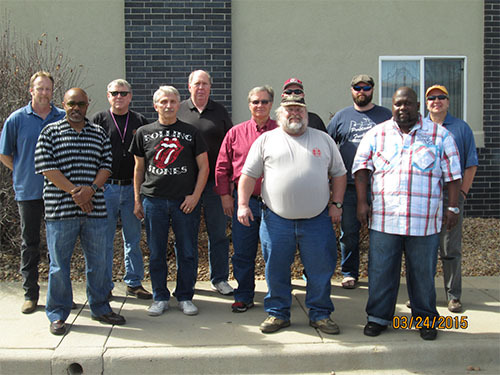 C.R.E.S.T Associate Instructors from TCU/IAM Local Lodges completed a Train the Trainer program in Denver, Colorado. The class is designed specifically to provide them with the skills to train other workers about the dangers of working around hazardous materials shipped by rail. The IAM CREST Associate Instructors demonstrated an outstanding professional ability to develop and deliver quality training. The awareness training modules are specifically designed to enhance the current training provided by employers in the rail industry. 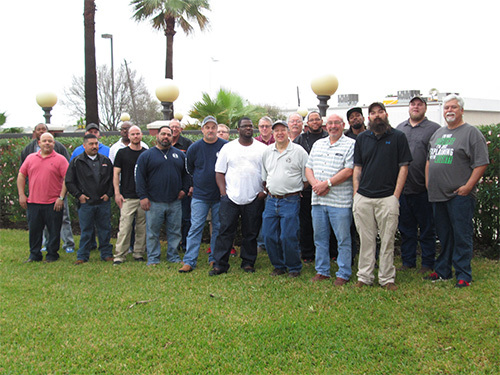 Railroad workers who may find themselves in a First Responder situation receive awareness training under a grant funded by the DOT Pipeline and Hazardous Material Safety Administration. This training is an example of how the TCU/IAM organization demonstrates a pro-active approach to delivering quality safety training. The individual training modules may be delivered to any first responder employees. The training stresses the importance of identifying hazardous materials and the hazards associated with them including, First Responder Awareness, Hazard Recognition, Hazardous Material Regulations, Agencies, Security, Toxicology, Chemical and Physical Properties, and Resources.